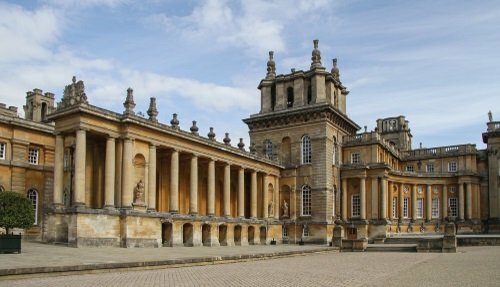 Our Cotswolds day tour from London takes you into the heart of one of England’s most beautiful regions. This is the perfect tour if you are looking to discover quintessential English villages. 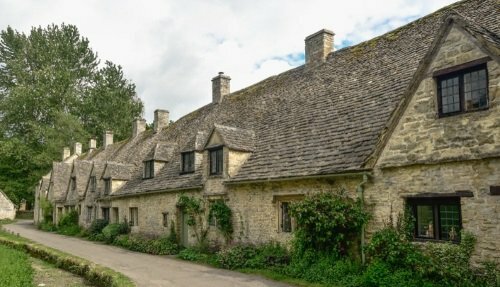 We’ll spend the day visiting Burford, Stow-on-the-Wold and Bourton-on-the-Water, three charming Cotswolds villages that are totally unique, and a visit to them feels a bit like traveling back in time to a different era. Lunch is in a 17th Century Inn in a picturesque location overlooking a small river in the village of Bibury, and you’ll have a selection of traditional British dishes to choose from. This is a fun, hassle-free and convenient way of exploring one of England’s prettiest areas. The tour is led by an experienced tour guide and includes luxury transportation from Central London. 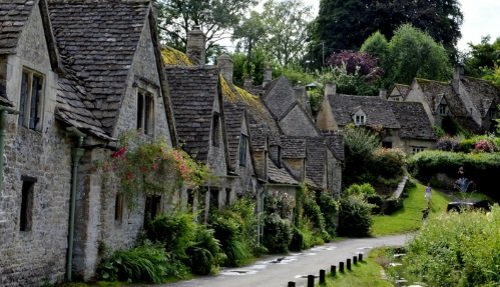 The Cotswolds day tour departs every Sunday, Tuesday, Wednesday and Friday during the spring and summer. It departs every Sunday during the winter. 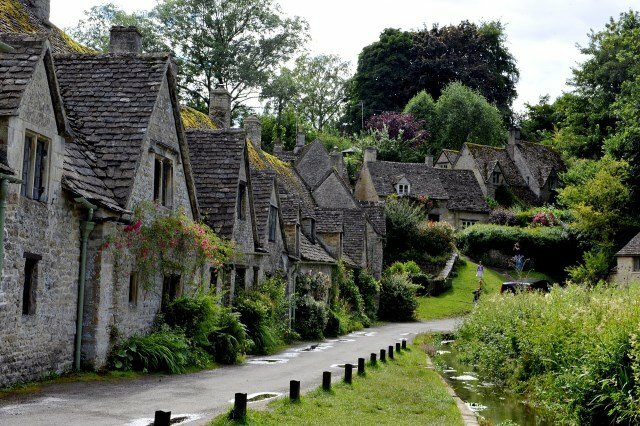 This Cotswolds day tour from London begins with a visit to Burford, a medieval market village known as the “Gateway to the Cotswolds”. Led by one of our experienced guides, we’ll have a chance to walk around this picture postcard village which boasts pretty Tudor and Georgian buildings, an impressive church and honey-coloured stone properties. Home to just 1,100 residents, we’ll have a chance to stroll around, admiring the many charming tea rooms and local independent shops that run along both sides of the high street. From Burford the next stop on this Cotswolds day tour from London is to the nearby village of Bibury. Idyllically situated perched on the River Coln, this village was described by William Morris as “the most beautiful village in England”, and you’ll immediately notice just how tiny it is! A gorgeous 1-lane bridge connects the two sides of the river, with chocolate-box houses dotting the landscape. Enjoy a two-course lunch at the Swan Hotel, which boasts one of the finest restaurants in the area that is ideally located overlooking the river. You’ll get to choose from a variety of classic British dishes and fine wines. *Lunch is included in the tour price! 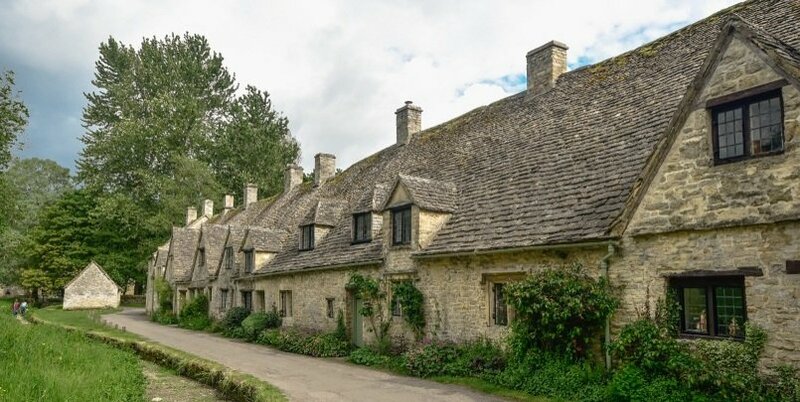 We begin the afternoon of this Cotswolds day tour from Central London with a drive into the heart of the rolling hills of the Cotswolds, along narrow country lanes and passing by farmers fields. 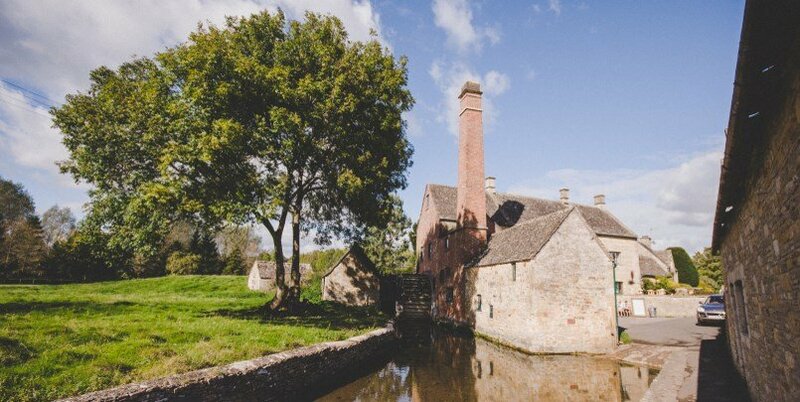 We’ll head to a few more charming villages in the Northern Cotswolds whilst learning more about the history of the area from our experienced tour guide. Head to Bourton-on-the-Water, nicknamed “Venice of the Cotswolds”, for the little bridges that cross the stream that runs through the centre of the town. On either side, you’ll find lots of little shops and antique stores, and this is probably the most famous of the Cotswolds villages. And just a few miles away lies Stow-on-the-Wold, an ancient market town and your guide will lead a short walking tour through the centre. This is actually the highest of the Cotswolds towns and was once famous for the wool industry. From here, head back to London, driving through the narrow Cotswolds lanes, and arriving at Victoria Coach Station in the early evening.